Father's Day is almost here! Are you all set for Father's Day? Let's admit...guys can be hard to shop for. Dad's, Husbands, and other Father's in your life need "pampering" just like we do. That is why I love gifting luxury skincare, grooming, and shaving products for Father's Day! Two of my all-time favorite luxury brands have some awesome gift sets and Men's products lined up for Father's Day. I picked out some of my favorites to share with you today: L'Occitane's Cedrat Collection and Kiehl's NEW Men's Age Defender for Men line. Clinical studies have shown that men’s dermis and epidermis are thicker than women’s due t0 increased collagen and density. With age, however, the thickness of men’s skin rapidly deteriorates, and by age 50, women and men present the same skin thickness.As skin thins around the eye area with age, men start to experience sagging, crow’s feet and dark circles. In addition, because men initially have thicker skin, they tend to have larger pores. When these large pores lose firmness and elasticity during the aging process, men begin to experience sagging skin and more visible pores. Young men have more hydrated skin and experience lower trans- epidermal water loss (TEWL) because of higher collagen levels. But with age, men experience a rapid increase in TEWL, and by 50, their skin is less hydrated than women’s. While women experience earlier superficial wrinkles, especially around the eyes, men experience deeper wrinkles, especially on the forehead. Higher muscle mass and increased facial movements are one of the contributing factors to these deeper wrinkles. Another contributor is lower levels of subcutaneous fat (a difference of 3mm in cheeks) that is structured differently than women (see illustration below). Less fat, especially in the cheeks, means less cushioning and support for the skin, which contributes to a “skinnier” appearance and reveals deeper expression lines. Smoke, UV rays and pollution are common enemies for aging skin. Men tend to have poor preventative behavior and insufficient skin care regimens. Men use sunscreen less frequently than women, if at all. Men are also more likely to work professionally outdoors, exposing them to more UV radiation and pollution than women. Combined with men’s tendency to smoke more often than women (31.1% vs 10.6%), these factors lead to men experiencing aging skin more rapidly than women. 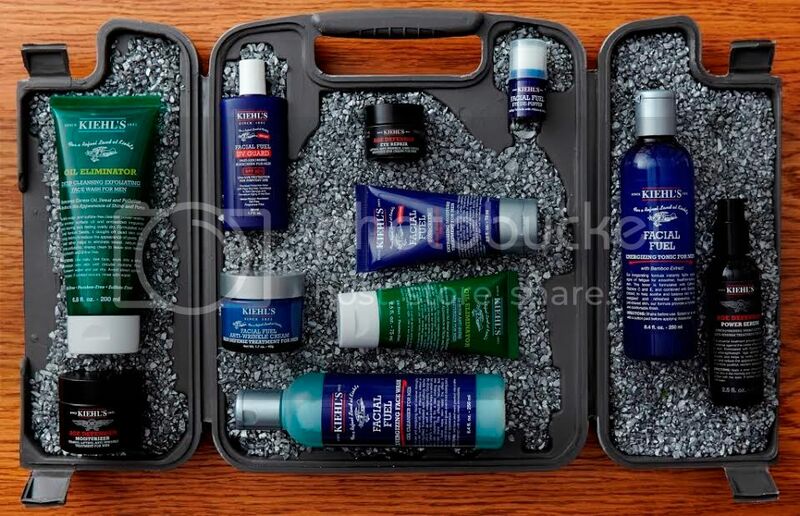 So now that we can see that Men's skin really is different, lets dive into some awesome products that uniquely address men's unique skincare needs! Please click "read more" below to find out some details about some of my (and my husband's) favorite skincare and bodycare for men from Kiehl's and L'Occitane! 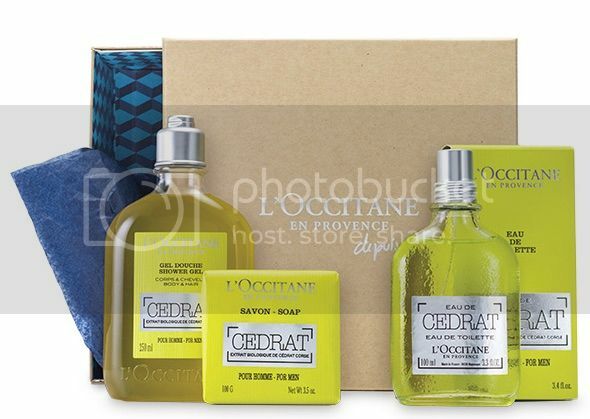 I just had to include L'Occitane's amazing Cedrat line in this Father's Day Gift guide because it is one of my husband's all-time favorites! Actually, the launch of Cedrat a year or two ago was when my husband first started getting into skincare (yay!!! I have wanted that for him for years). His absolute favorite skincare product is the Cedrat Global Face Gel. Note: this item is not included in the gift set below. However, I highly recommend checking it out next time you are at L'Occitane! My husband just loves the refreshing feel of this product on his skin. Plus, he has mentioned that it leaves his skin more matte. Also, this product would be a fabulous add-on to the Cedrat Gift Set (below) that includes the Cedrat Eau de Toilette, Shower Gel, and Bar Soap. This vibrant, citrusy fragrance has invigorating notes of lemon, bergamot and nutmeg mixed with undertones of cedar and blue ginger for a great, energizing scent that will keep him feeling clean and refreshed all day long. The set includes Cedrat Eau de Toilette (100ml), Shower Gel for Hair and Body (250ml) and Bar Soap (100g). The Cedrat scent really is refreshing and invigorating. You are going to love how your man smells while using these products. Plus, what awesome luxury shower treats for your guy! 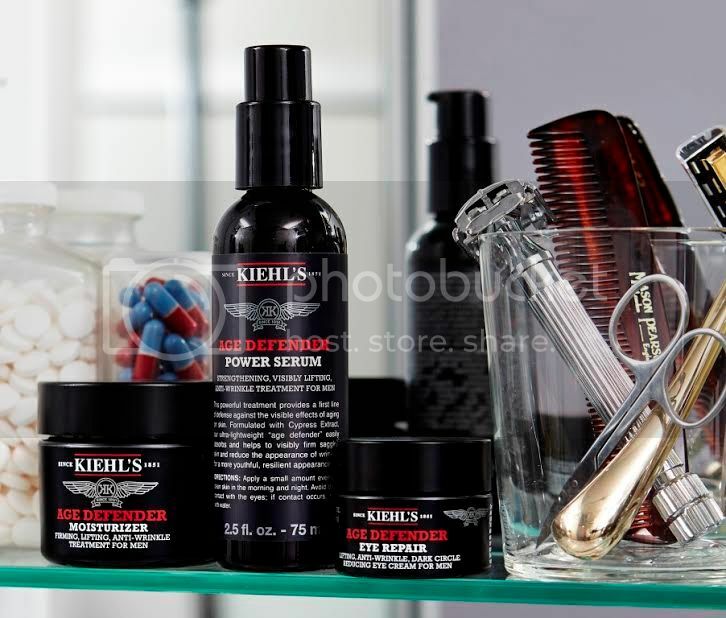 Kiehl’s has recently introduced an advanced anti-aging collection for men: Age Defender for Men. My husband and I were first introduced to this amazing line when we attended the Kiehl's grand reopening event at the Lenox mall location in Atlanta. We were able to meet the amazingly cool Chris Salgardo (Kiehl's USA President and author of the book MANMADE: The Essential Skincare & Grooming Reference for Every Man). My husband had just picked out the Kiehl's Age Defender Power Serum and Chris told us about how awesome the product was and how excited he was about this new line. Ever since this event, the Kiehl's Age Defender Power Serum is a nightly staple skincare treat for my husband. He is excited to explore the rest of the line! This simple yet effective trio helps protect men’s skin from the rapid onset of the signs of aging. The line’s star product is the Age Defender Power Serum, which helps visibly firm sagging skin and reduce the appearance of wrinkles for a more youthful, resilient appearance. The Age Defender Moisturizer utilizes dual- action technology to exfoliate while increasing firmness. It reinforces the actives in the Age Defender Power Serum as it improves the elasticity and firmness of skin. Age Defender Eye Repair completes the regimen by instantly brightening the appearance of dark circles and smoothing and firming skin to improve the appearance of crow’s feet and under-eye bags. The Age Defender Power Serum contains ingredients like Cypress Extract (to strengthen skin and add resilience), Strengthening Protein Blend (hydrolyzed soy and rice proteins for protection and hydration), and Adenosine (to reduce lines and wrinkles). My husband has been super pleased with his results with this serum! But, a serum is not enough! I am thrilled that my husband has finally gotten into skincare. So, his next steps will be to try the Kiehl's Age Defender Moisturizer and Eye Repair. Have any of you tried these products? I would love to hear how they worked for you! Also, if you are looking for gift sets for Dad for Father's Day, Kiehl's also has a Men's Starter Kit and a Healthy Grooming Essentials. Also, I highly recommend Chris Salgardo's awesome book MANMADE: The Essential Skincare & Grooming Reference for Every Man. It is quite an enjoyable read. Plus, it is full of helpful skincare tips for Men!